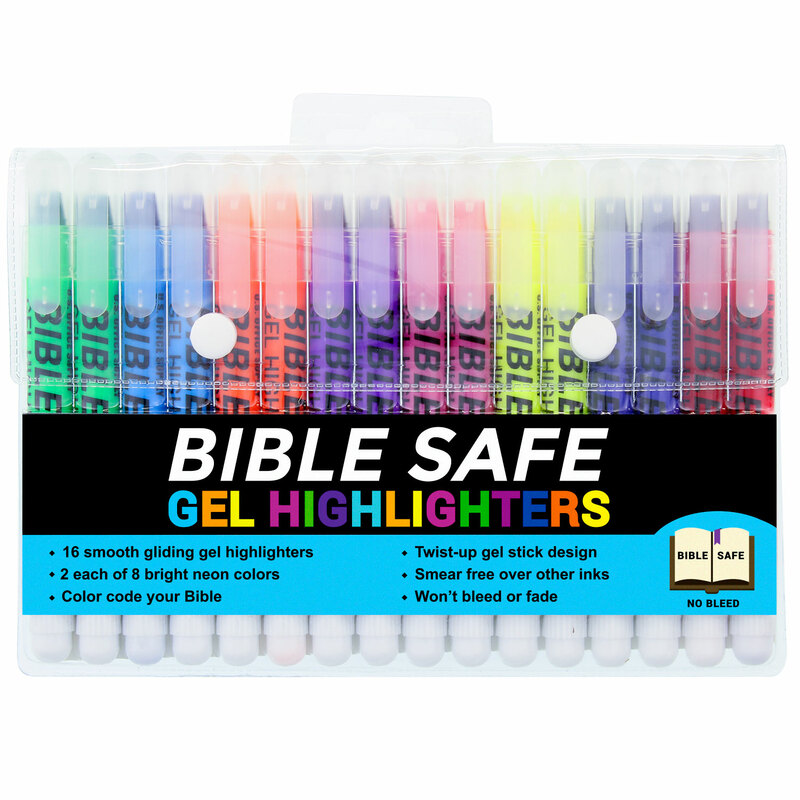 Archival quality Bible Safe Gel Highlighters that are ideal for color coding Bibles. Also safe for highlighting on any paper surfaces like study, text and legal books. 8 bright neon colors that highlight while gliding smoothly across a page. Twist-up gel stick design. Includes study guide and a storage pouch. Applies easily and won't bleed, fade or smear over other inks. Also won't dry out if left uncapped. Highlight Bibles for emphasis on Meaningful Words, Phrases and Passages; Holy Spirit, Prayers and Blessings; Faith, Growth and Wisdom; Love, Grace and Salvation.